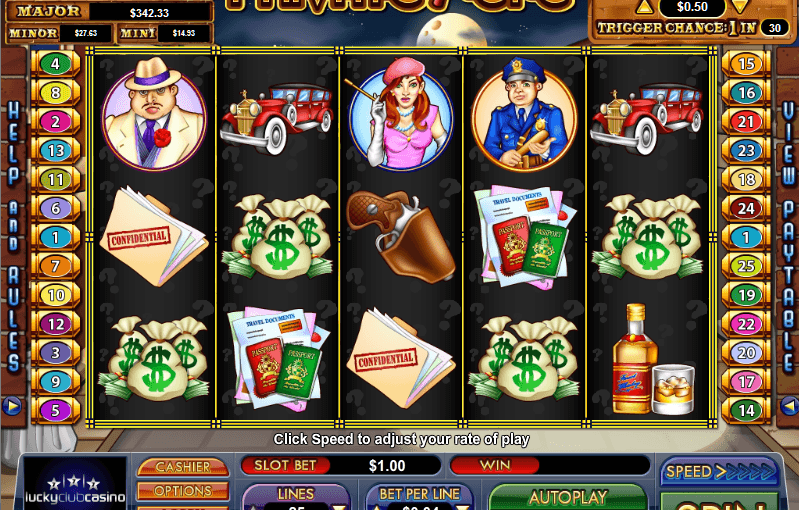 Private Eye is a 5 reel, 25 payline video slot powered by NuWorks Gaming. There is a wild symbol, scatter symbol and a respins feature. The respins feature is triggered when the private eye symbol appears anywhere on both reels 1 and 5 with a scattered eye symbol on reel 3. Both reels 1 and 5 are held with private eyes symbols in all positions while the remaining reels respin up to 10 times. There is also four progressive jackpots, the grand, the maxi, the major and the minor.